•	4-7 PM Hands On! 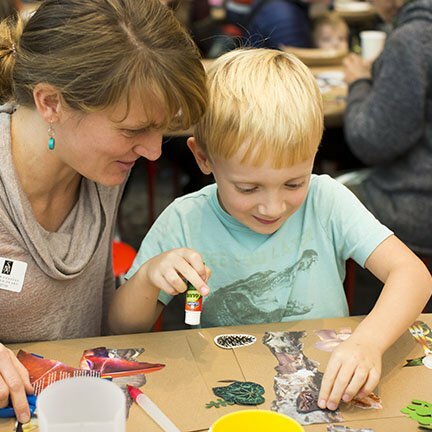 Art making for all ages, inspired by works on view. Stitch + Self: stitch words or symbols with plastic needles and embroidery floss to create your own individual identity cloth. •	6 PM Open Eyes: Guided conversation exploring an art object. •	Image Credit: Lynne Graves for SCMA.